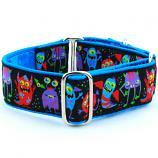 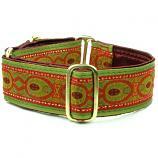 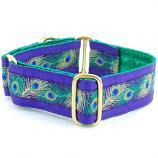 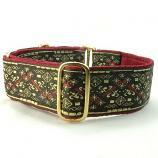 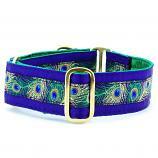 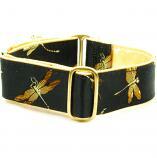 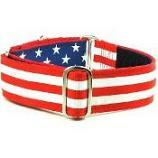 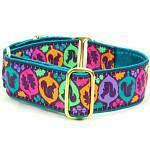 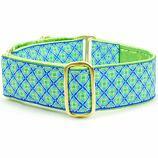 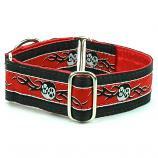 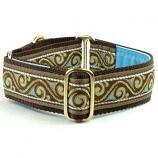 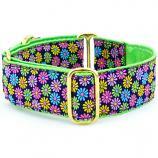 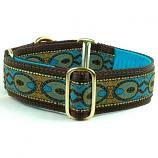 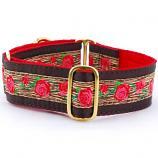 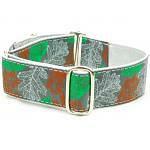 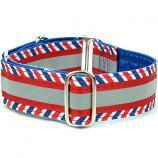 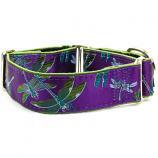 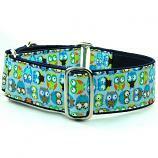 These beautiful 1.5" wide collars feature a luxurious velvet lining on the inside and stylish patterns on the outside. 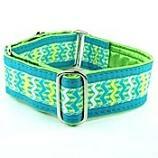 Each collar in available in the quick release clip style or martingale double loop. 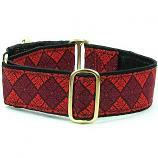 The wider width makes them appropriate for medium/larger dogs over 40 lbs.